An article by Ahmed Ali, Senior Analyst, Research, at Analysys Mason. Telecoms operators are deploying IoT platforms to support their move into the IoT space. Connectivity management platforms (CMPs) enable operators to control their connections and add value for their customers in the IoT market. We expect this market to be worth USD1 billion by 2026. However, vendors that want to win a share of the market must overcome several challenges, including that of the competition from the operators’ own in-house platforms. This article is based on Analysys Mason’s new report “IoT forecast: operator spend on connectivity management platforms 2017–2026“, which analyses key trends, drivers and challenges for IoT connectivity management platform adoption and provides recommendations for vendors in the market. Many operators started selling their SIMs for IoT applications before adopting an IoT CMP. However, this practice is diminishing, particularly in regions with higher numbers of IoT connections such as North America and Western Europe. As the numbers of IoT contracts and connections increase, operators will rely on platforms to keep track of several factors including the network performance, subscriber consumption and respective revenue. Our IoT platform contract tracker highlights more than 245 connectivity management deals signed by operators. Adoption of CMPs is rapid – more than 70% of IoT connections worldwide are now managed by a platform. Some operators are using a combination of platforms to manage connections. These platforms are either externally managed – that is, by vendors such as Cisco Jasper or Ericsson, or they can be internally managed – for example, Verizon is using an in-house platform. The use of multiple platforms helps operators to avoid vendor lock-in, while allowing for cost management and flexible resource allocation based on different customers’ requirements. Internal platforms that are developed by operators are managing the highest number of IoT connections (see Figure 1). This is because leading IoT operators, such as China Mobile, Verizon and Vodafone, have built their own platforms and rely on them almost entirely within all operations. Nevertheless, as the number of connections across various verticals continues to rise, thanks to advancements such as embedded SIMs (eSIMs), the use of vendor-supplied platforms remains a viable option for many operators that lack resources to develop their own platforms and want to accelerate their time to market for IoT solutions. 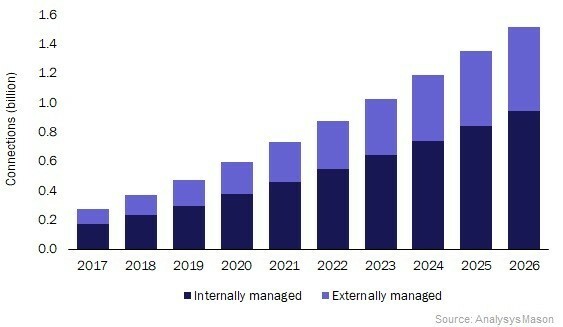 The number of externally managed connections will increase to almost 0.6 billion in 2026. Accordingly, operator spending on CMP will reach USD1 billion in the same year. 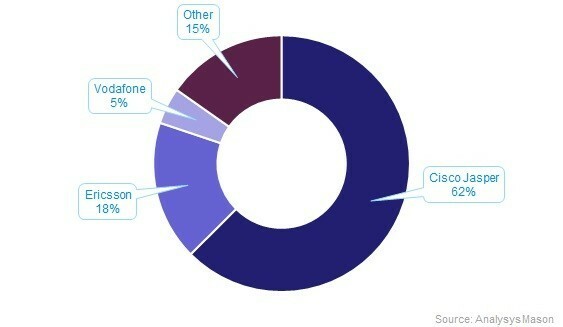 Connectivity revenue that is enabled by CMPs is split between operators and their platform providers. 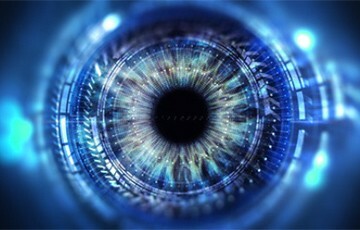 Vendors want to maximise their revenue, but they are faced with several threats. The possible decline in the average revenue per connection as competition increases among operators and between operators and other IoT connectivity providers arise. The pressure on vendors to reduce their share of the connectivity revenue as the operators’ IoT businesses mature. The possible migration to internal platforms by more operators as they continue to build and develop the technology. To mitigate such threats and acquire a share of the market, vendors must continue to assess their offerings and ensure that their platforms provide strong and undisputed value for their operator customers. For example, platforms should provide operators with the knowledge, market channels and ecosystem partners required to expand into new regional and international markets. A few external platforms have achieved significant market recognition and are dominating the scene. The main ones are Cisco Jasper’s Control Center, Ericsson’s Device Connection Platform and Vodafone’s Managed IoT Connectivity Platform. These platforms have the early mover advantage and account for more than 80% of the external platform market (see Figure 2) However, the emergence of recent technologies, such as LPWA networks and eSIMs, and new players, such as cable operators and MVNOs, is changing the dynamics of the IoT connectivity market and opening opportunities for other platform providers. Platform vendors need to capitalise upon emerging technologies to differentiate themselves, and should maintain flexible business models and guarantee fast platform onboarding. Most importantly, vendors need to drive operators’ activity on the platforms. They must understand their partners’ different vertical, regional and financial requirements and develop solutions and services to support these requirements beyond the platform. The post Managed IoT connections will reach 1.5 billion by 2026 appeared first on IoT Business News.